but with the ingredients I have on hand. I’ve always wanted to make vegan Italian wedding soup—it reminds me of second year university, making canned soup with my friends and watching them play video games while the Ottawa winter blustered on outside. It reminds me of coziness and late nights working on translation assignments and studying for my Spanish midterms. Before university, I had never had Italian wedding soup before. 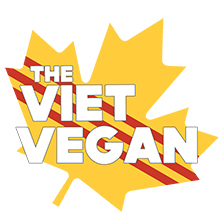 I’m surprised I didn’t even think to try and make it myself, even before I went vegan. After working with a local vegan company and having to shoot a bunch of their products at work, I was left with an overwhelming amount of vegan sausage, so I started adding it to soups. Throwing in various vegetables I had on hand, tasting and seasoning with different combinations of herbs and spices, somehow this soup started tasting more like Italian wedding soup (well the canned version I remember) each time I made it. 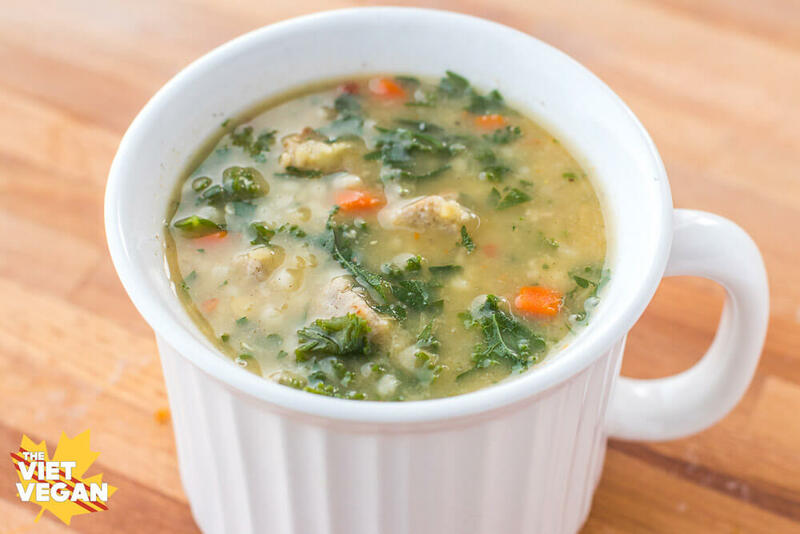 After doing some more research, I found out that this soup is an Italian-American version of minestra maritata, mistranslated as “wedding soup” when in fact, the “marriage” was between meat and greens, and not two people. 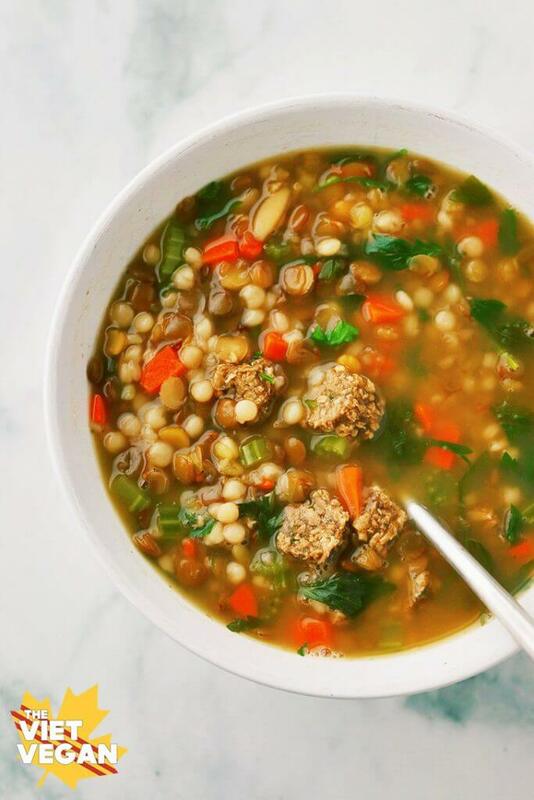 Hearty greens (using kale instead of the traditional escarole or chicory), vegan chicken-flavoured broth, savoury sweet plant-based breakfast sausage and playful little pasta turned this soup into the homemade version of this nostalgic number. Of course, along my journey of experimenting with sausage in soup, I found myself adding lentils to the mix. Red lentils make this soup ultra creamy and rather thick, while a version I made (depicted above) with green lentils had a clearer broth, similar to the canned Italian wedding soup I remember. 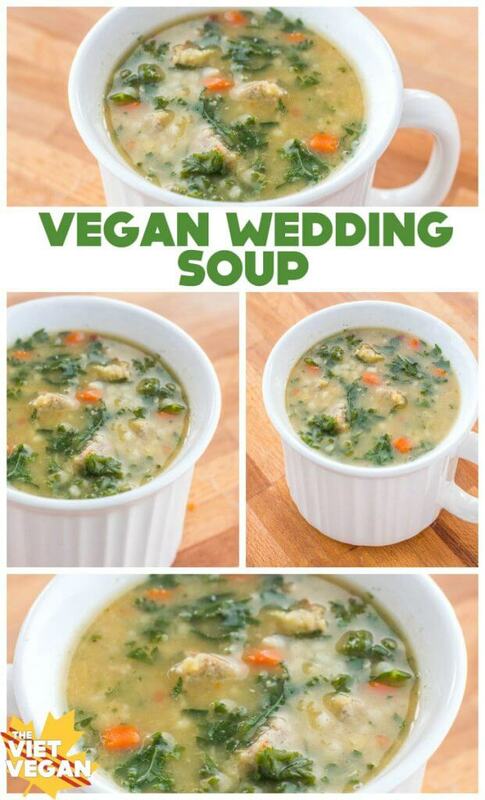 So this re-imagined and mistranslated soup from meat to veg has become vegan wedding soup. A bastardized version of the Italian original minestra maritata, hence why I don’t feel comfortable calling this Italian. Because it’s not. But I hope I can translate the sentiment behind pulling all the bits and bobs from my fridge and pantry to create something comforting and filling on these chilly fall evenings. Bring broth or water to a boil (add mushroom broth granules if that's the method you're taking). Add lentils and carrots to the pot and lower to medium heat—if cooking green lentils, cook for about 20 minutes before adding the the couscous/pasta. If cooking red lentils, only cook for 10 minutes before adding pasta. Cook 1 cup of couscous/pasta and cook for about 5 minutes—they should be al dente and carrots should be tender. Stir in garlic powder, poultry seasoning, and red pepper flakes. Add in chopped vegan sausage (you can cook it ahead of time or add it in uncooked, I've done both and they both turn out fine) and cook until well heated through. Wilt in the kale for about 2 minutes, then sprinkle in the parsley and nutritional yeast. I store this in the fridge and eat it over the week, but all the ingredients absorb the water and it's almost more like a stew than a soup. I end up adding some water before I heat it up to get it back to a soupy consistency and just a little salt and pepper to re-season it so it's not watered down. 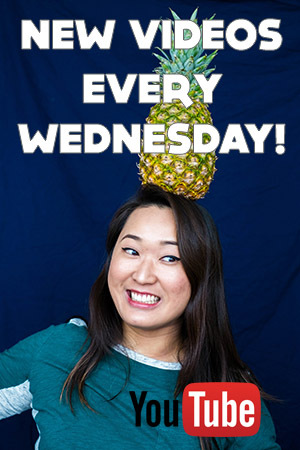 Lisa, this was truly amazing. It's been a rotten week here and the soup was the perfect "comfort food." I skipped the parsley, doubled the kale, and then added celery, a little ground fennel seed, and a half of a lemon's worth of juice just before serving. Definitely going in the rotation! It has definitely been a rough week :( I'm so happy you liked it. Adding lemon juice is a good idea! I just made this tonight and my goodness it's so delicious! I saw your video for it on youtube about a week ago (I've been binge watching your channel) and for some reason I was craving it until I finally had the chance to replenish my kale supply and make it for myself. It did not disappoint!I added about 1/2 cup chopped celery because I accidentally bought too much and needed to do something with it. I also added 1 tsp onion powder.